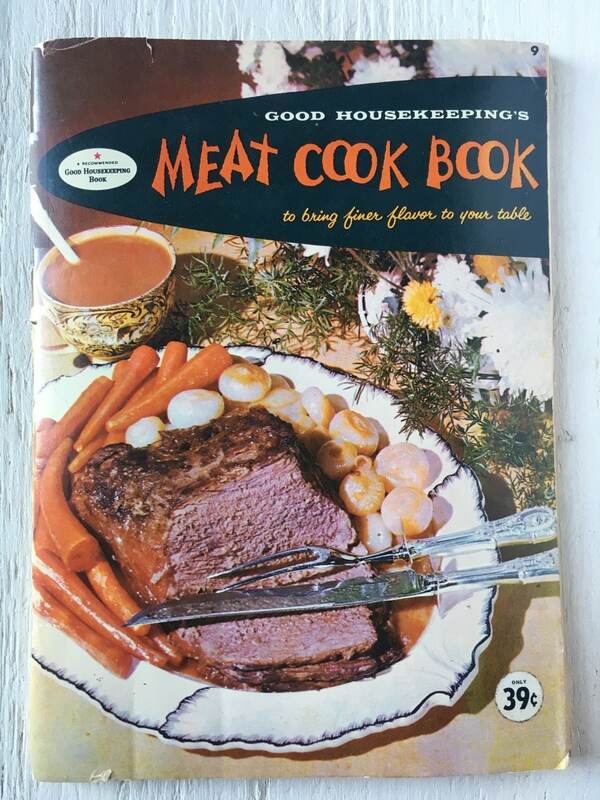 Published in 1958, Good Housekeeping’s Meat Cook Book “to bring finer flavor to your table”. This copy has split on the seam and had been taped, but the pages are still tight and clean except for a spot or two. Meat Cook Book has 68 pages of recipes and tips. Unlike some of the kitschy vintage cookbooks from this era, these recipes are actually quite good! I've definitely used some of the recipes from the Good Housekeeping's cookbook collection over they years, and never been let down.